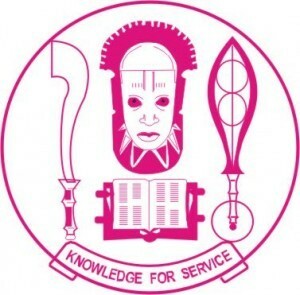 University of Benin, UNIBEN is yet to start selling UTME and Direct Entry admission screening forms for the 2017/2018 academic session. Candidates are advised to be wary of fake sites aiming to defraud them. The attention of the authorities of the University of Benin has been drawn to a fake University of Benin website created by criminal elements to defraud unsuspecting members of the public under the guise of offering admission to their children or wards. For the avoidance of doubt, the Joint Admission and Matriculation Board, the statutory examination body in charge of UTME/DIRECT ENTRY Admission is yet to release the guidelines for 2017/2018 admission process, neither has the Board given the Universities the go ahead to do so. This press release, therefore, serves as a warning to members of the public to be wary of such and other related questionable overtures. In addition, the office of the Registrar is not in charge of admission, as there is a board in the University saddled with the responsibility of admitting qualified candidates into various courses offered by the University. PLEASE IT SHOULD ALSO BE NOTED THAT ADMISSION IS NOT FOR SALE IN THE UNIVERSITY OF BENIN.